Khavari & Moghadassi (K&M) was founded by Rod Khavari and Farid Moghadassi in order to provide “client oriented service.” We recognize how unique legal problems can be, as varied as the needs of our clients, who come to us in a time of difficulty and often great stress. We are driven to provide effective, competent, and extremely efficient representation to assist our clients reach their goals and move forward in their personal and professional lives. By virtue of our broad and extensive practice experience, we at K&M are able offer a unique combination of strategic advice and sophisticated services. After law school, Rod and Farid were associates at a large law firm located in Richardson, Texas. After a few short years, each became head of a department, Farid eventually taking over as lead attorney in the Criminal and Family Departments and Rod leading the Business, Civil and Immigration matters at the firm. 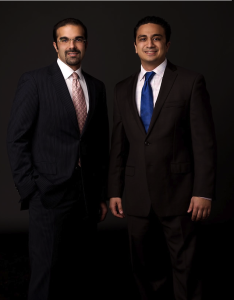 The intensive nature of their work at the firm gave Rod and Farid the kind of training and experience that has enabled them to build K&M, develop and expand their vision of “client-oriented service” and provide the kind of quality and dedication and loyalty that people need during times of legal difficulty and crisis.